Salesforce.com, Inc. (CRM) is a leader in cloud computing and is trading above my monthly pivot for May at $124.68. With a P/E ratio of 753.71, the stock is way overvalued for value investors and is becoming overbought even for momentum traders. The company is expected to report quarterly earnings results after the closing bell on May 29. Salesforce has been trading above a “golden cross” since March 3, 2017, when the stock closed at $82.22. A “golden cross” occurs when the 50-day simple moving average rises above the 200-day simple moving average and indicates that higher prices lie ahead. This bullish pattern has been a reason to have maintained a long position in this stock. 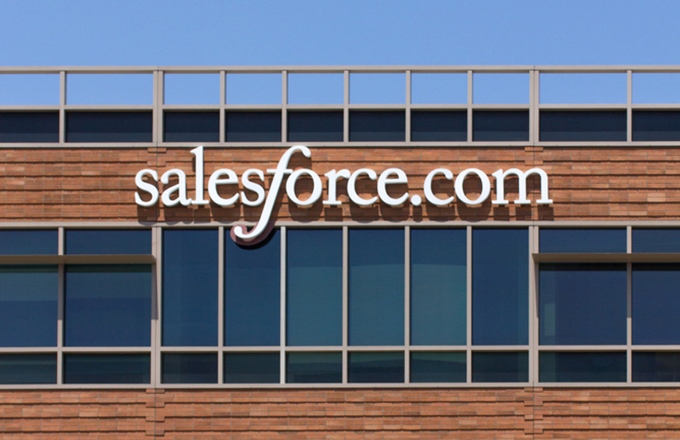 The horizontal lines show that shares of Salesforce are well above my quarterly, annual and semiannual value levels of $107.63, $107.38 and $101.13, respectively, with this month’s pivot at $124.68. 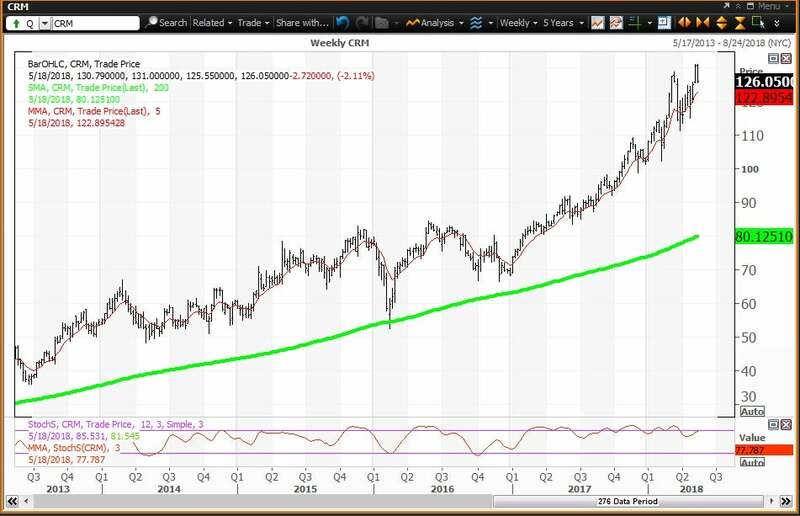 The weekly chart for Salesforce is positive, with the stock above its five-week modified moving average of $122.90. 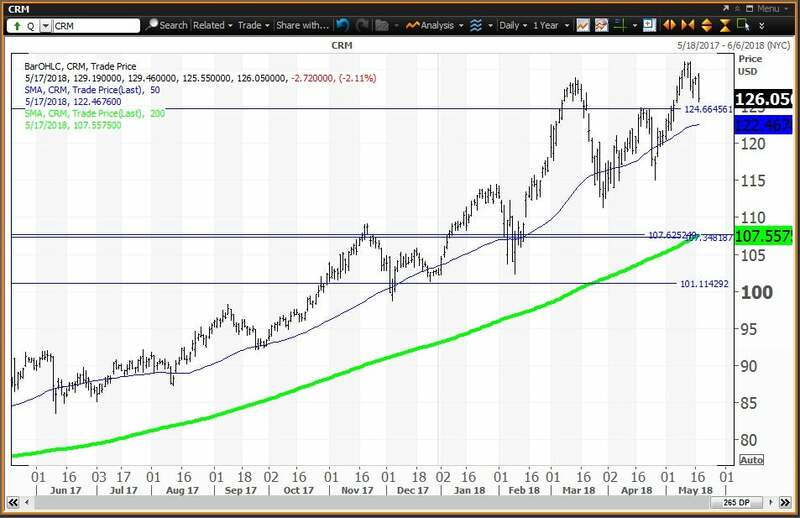 The stock is well above its 200-week simple moving average at $80.13, which is also known as the “reversion to the mean,” last tested during the week of Feb. 12, 2016, when the average was $52.49. Buying the stock on weakness to the “reversion to the mean” was thus a prudent longer-term investment strategy. The 12 x 3 x 3 weekly slow stochastic reading is projected to rise to 77.79 this week, up from 73.91 on May 11. 0 responses on "Salesforce Is Trading Above the Cloud Before Earnings"